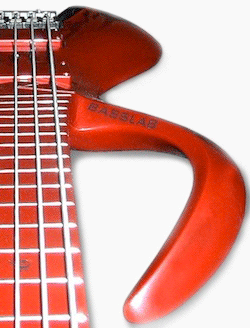 BassLab – Basses & Guitars – BassLab is a manufacturer of lightweight, monocoque guitars and basses made from "tuneable composite". Welcome and thanks for looking beyond the mainstream! 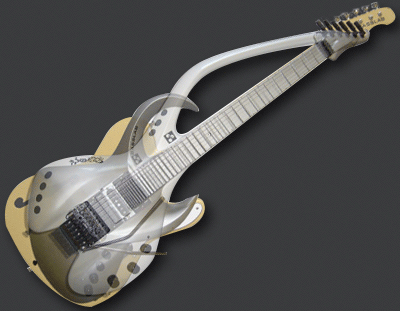 Our main concern is tone, using new materials and constructions - developed by a musician and physicist. We use a highly innovative method, following a deep and longtime research on physics. Our ergonomic designs result in instruments that supersede the playing comfort, sound and design of conventional instruments. BassLab instruments are handmade "monocoque" one-piece, fully integrated acoustic and extremely lightweight hollow bodies. 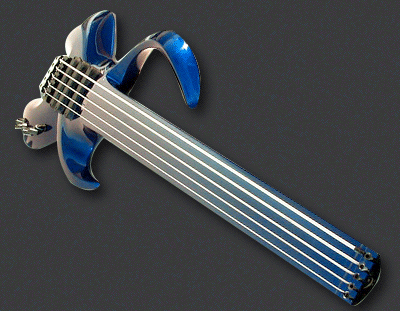 Guitars start as light as 1.8kg (4lbs) Basses start slightly above 2kg (4.4lbs). 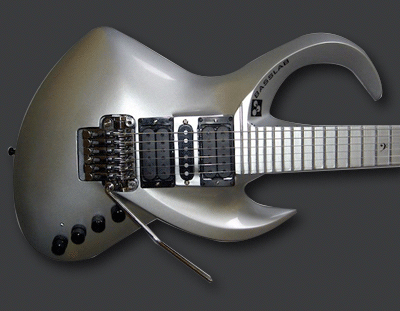 So light, even double-necks make sense. We think it would be a shame, to just make the regular slabs out of this highly flexible materials. 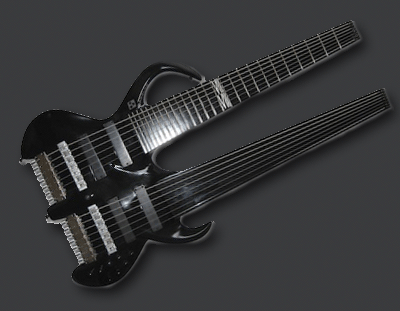 Place armrests, electronics and contours where they belong with easy access to all the frets you’ve paid for. Call it futuristic, we believe its mainly ergonomic. Still, we also offer some classic standards and their ergonomic factor is being very lightweight and well balanced. 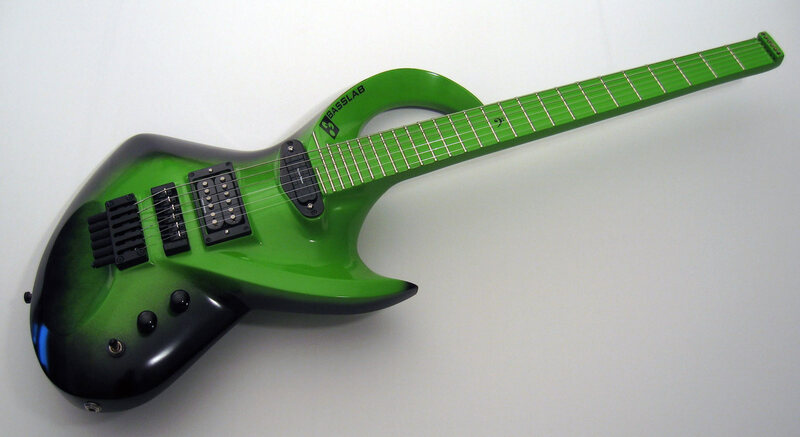 As fans of the headless design and its many advantages like highest tuning stability, better balance, far lower risk of dead spots, ergonomics and compactness, we also offer all sorts of combinations like headless hardware and string-locks on the head and also classic tuners. All without the need of any double-ball-end strings. 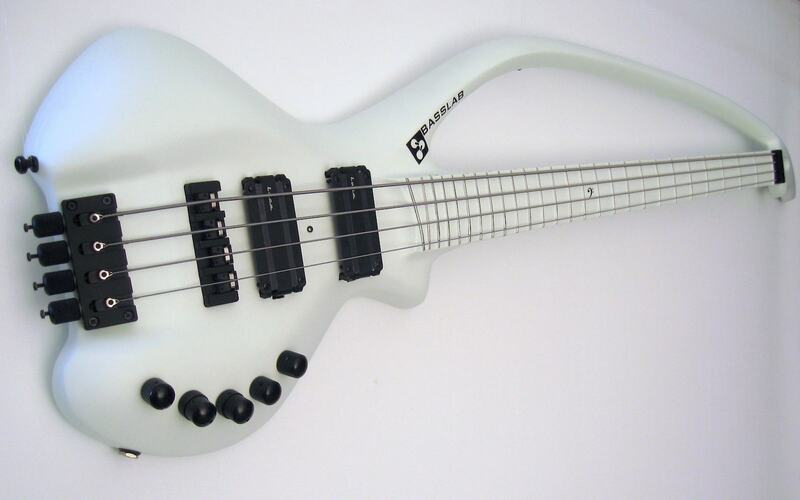 All sorts from classic standard to extreme for both basses and guitars. Tuneable composite Yes, this is not wood and why should we use an acoustically absorbing material for a musical instrument? New materials are being used more and more, Still, most make no creative use of these highly flexible materials, using standard tech, initially developed with no connection to acoustics. 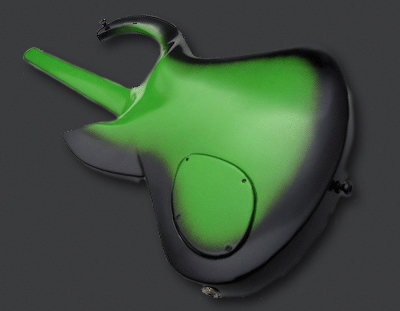 We use carbon for stiffness, but add others to the mix for tone. 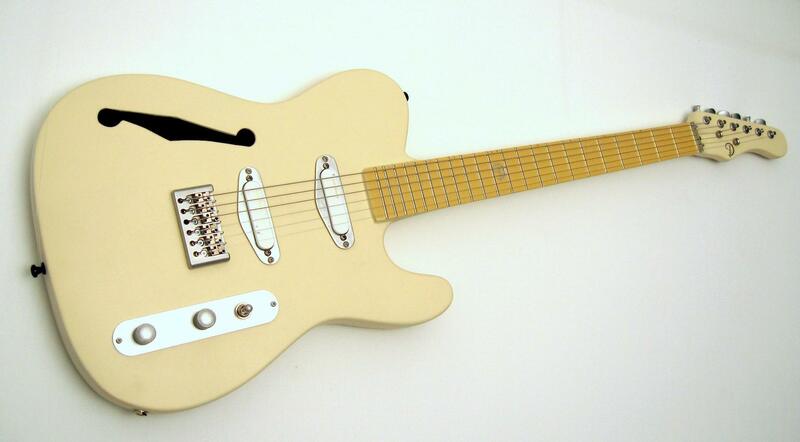 It’s called "tuneable", because we can also alter the tone. And we did refine ours within the last more than 20 years of building. (Left is a raster electron image of some carbon fibers, 100µm + 10µm scale).